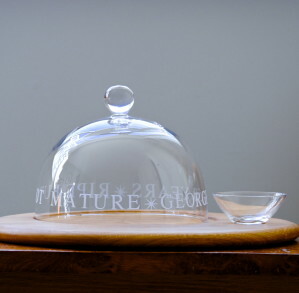 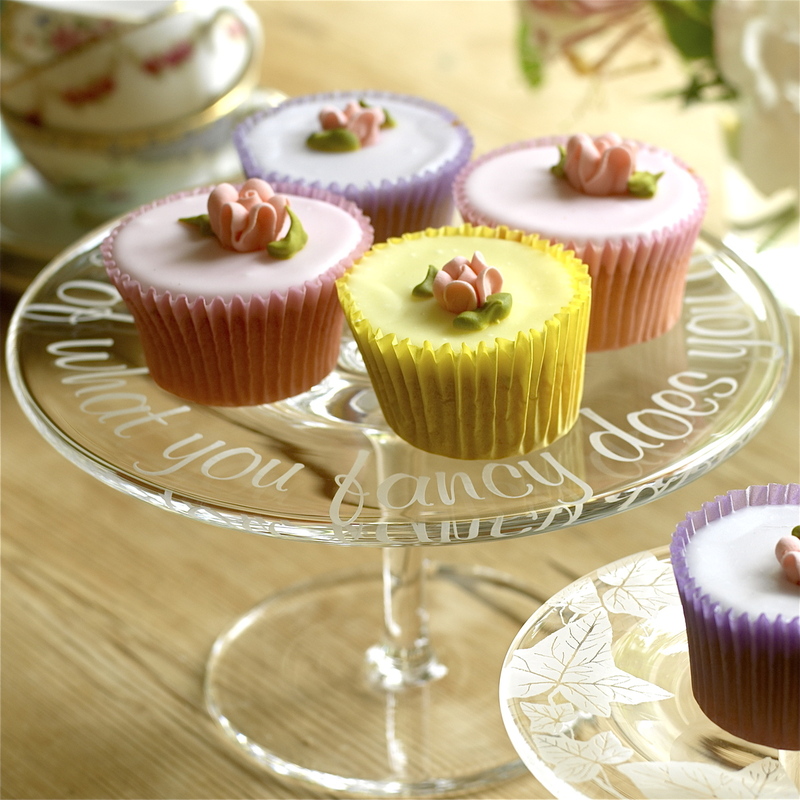 Everyone is bitten by the bug and this yummy Cake stand is selling like Hot Cakes! 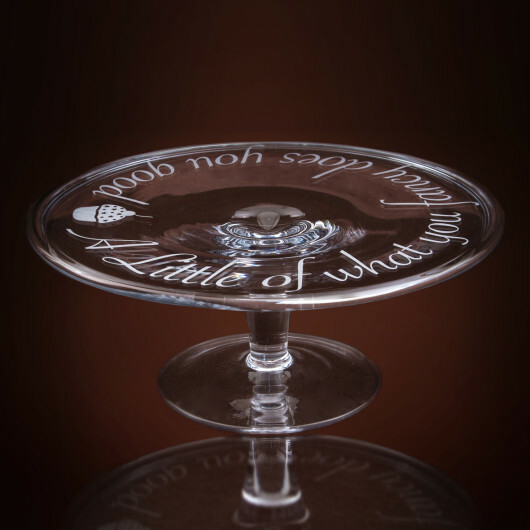 Price includes your choice of text engraved around the rim of the top of the stand. 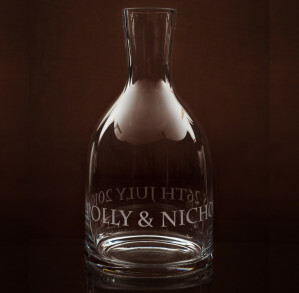 You also have the option to have the foot engraved for an additional £15. 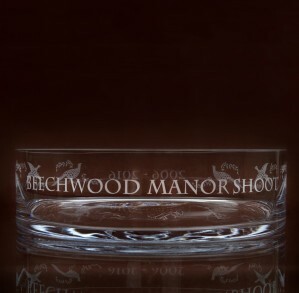 With all the excitement of the Great Bake Off, competitions have been created for all sorts of good causes and we have had the pleasure of engraving several for Great Bake off trophies for winners and runners up alike. 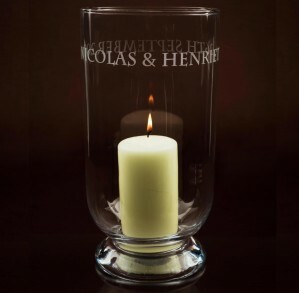 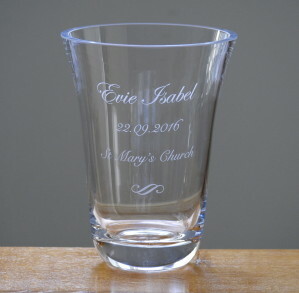 If you would like us to quote for a special design or would like to have a logo engraved please call us. 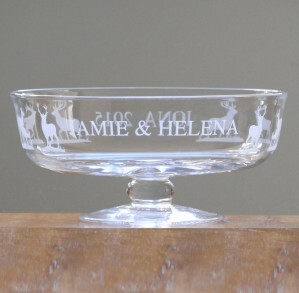 Second item I have bought personalised as a special present. 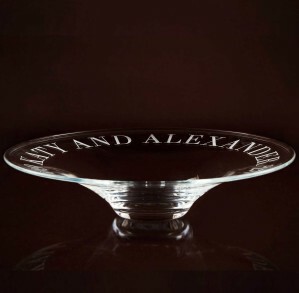 This item is quite a lot of money to spend on such as item, but the glass is very good quality, not chunky or cheap looking and the engraving is done extremely well. 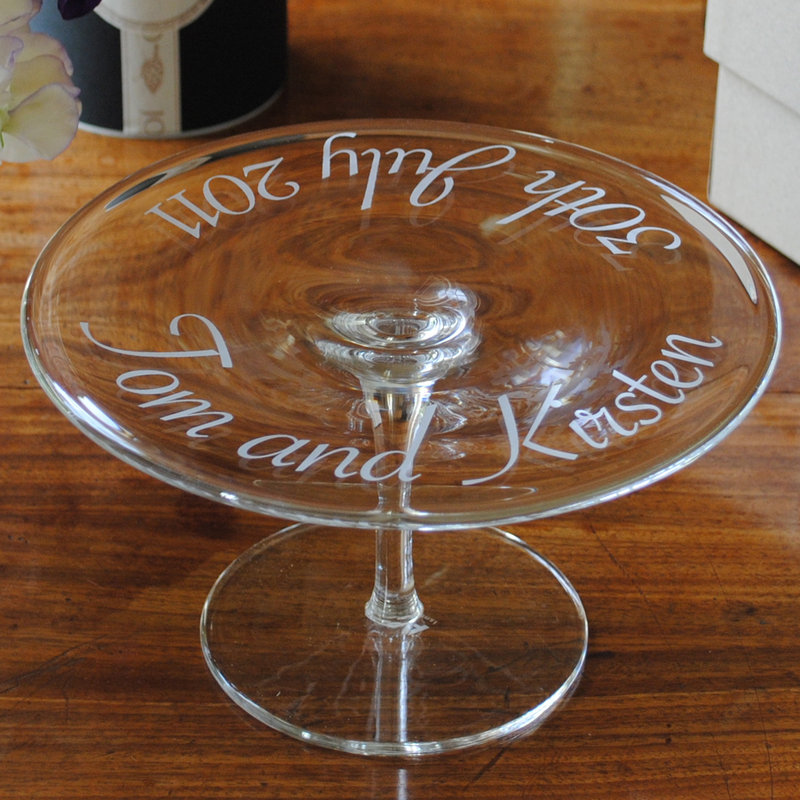 Nothing is too much trouble and JoJo managed to source our logo & font to use in the inscription. Thank you for looking after us so well again.